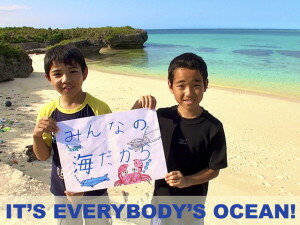 “It’s Everybody’s Ocean” tells a story of how marine debris is affecting the people of Ikema, a tiny and beautiful island of the Miyako Islands, known for its stunning coral reefs. The island’s once pristine beaches now play host to tons of plastic marine debris, originat ing from all over Asia, polluting their beaches, and threatening the lives of marine species. “It’s Everybody’s Ocean” won the best documentary short at NYC International Film Festival in 2014 and two awards at other festivals. It has been shown in 10 cities all over the world. Watch it and discuss on Saturday, January 24, 2015, at the Center for Remembering & Sharing in Manhattan.